The Justice Department won about 700 health care fraud convictions. (Bloomberg) — The federal government recovered $4.3 billion from people and companies that tried to defraud health care programs in fiscal year 2013, up from $4.1 billion in fiscal 2012. Officials at the U.S. Department of Justice and the U.S. Department of Health and Human Services (HHS) said the government recovered $8.10 for every dollar spent on health care fraud inquiries. The 2013 recoveries came from criminal, civil and administrative judgments, and also from settlements. Officials included the recovery figures in an annual Health Care Fraud and Abuse Control Program report that was released this morning. Fiscal 2013 ended Sept. 30. The Justice Department opened 1,013 new health care fraud criminal investigations in fiscal 2013, and those cases involved about 2,000 suspects. The department obtained about 700 health care fraud convictions. 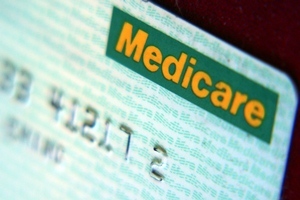 Officials at the Centers for Medicare and Medicaid Services (CMS), an arm of HHS, in 2011 began revalidating 1.5 million Medicare-enrolled providers. The Patient Protection and Affordable Care Act (PPACA) required CMS to conduct the provider revalidation process. CMS has revoked the authority of 14,663 providers and suppliers to bill Medicare because of revalidation program findings, officials said. The problems uncovered ranged from not being in operation at the address on file to having felony convictions, officials said.